Hand out this list of activities to help parents raise children ready to read. Understand that letters and words mean something. Build a listening and speaking vocabulary. Have many different experiences to relate to new words and ideas. Connect drawing and writing to reading. 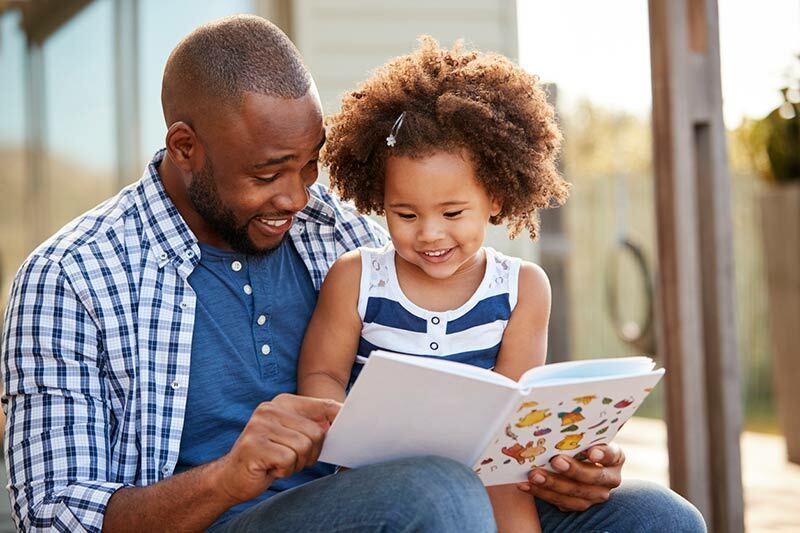 Here are several easy and fun activities you can do to help your child get ready to read. Stick labels on objects in your home, such as the table or a toothbrush. Collect the labels and have your child put them back on the correct items. Teach your child nursery rhymes and songs. Recite and sing them together often. Play with words. Separate the sounds in a word (i.e. "mud" has three different sounds). Note how some words begin with the same sound (i.e. "dog" and "dark") or rhyme (i.e. "tea" and "me"). Make up silly sounds and funny chants. Dr. Seuss books are great for playing with language and sparking the imagination. Look for letters of the alphabet everywhere you go. Visit NEA's website to learn more activities you can use to raise a successful reader.